I say, I say, I say. What did the nun say to the drug addict? Hey you! You're not the only one with a habit around here. Now if you understood that joke, well done, as a reward, you can now check out an interview I did with a nice chap who designs t-shirts. Trust me. His ability to design is a lot better than my ability at telling jokes. 1) Where are you based? I am from Sherry in the south of Spain and I'm 31 years old. 2) What inspired you to draw? Everything related with the 80s has inspired me. I think that it is an unrepeatable era and one necessary for people to remember. Honestly, I am a very nostalgic person. 3) Who is your favorite artist? There are many greats and you can not only pick one, but lately, I really like the work of Frank Miller. 4) What is your favorite subject to illustrate? Since I have already said that the 80s inspire me, probably the objects that have come out of this era is what I like to design the most. For example, like the nostalgic design seen in my "I am your father" t-shirt. 5) If you could get a celebrity – either living or dead – to promote your work, who would it be? Difficult choice, although I would have to say Gaudí, as I think that he is one of the most complete artists. 6) Besides submitting your work to Design By Humans, what else do you do? I have been devoted to designing vests professionally for approximately two years, and would want to continue doing this for a long time yet. 7) Out of your designs, which one do you think is the most popular? 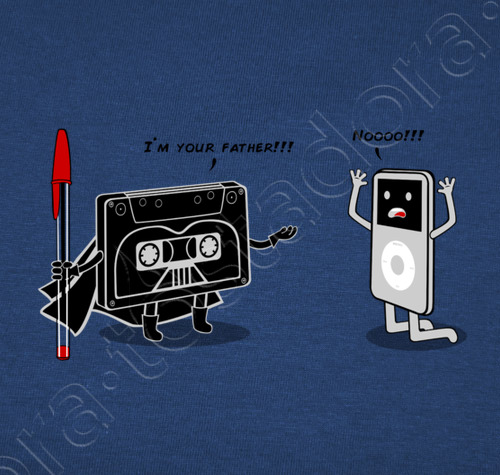 My most popular design without a doubt is "I am your father". Although I have others that people like a lot like the "Employment Office" or "Breaking Gru". 8) Why do you think this is so? I make sure that my designs are quickly understood and attempt to make them entertaining at the same time. I love the simplicity of them. 9) If you had a personal motto, what would it be? Fight for your dreams while you enjoy the journey. 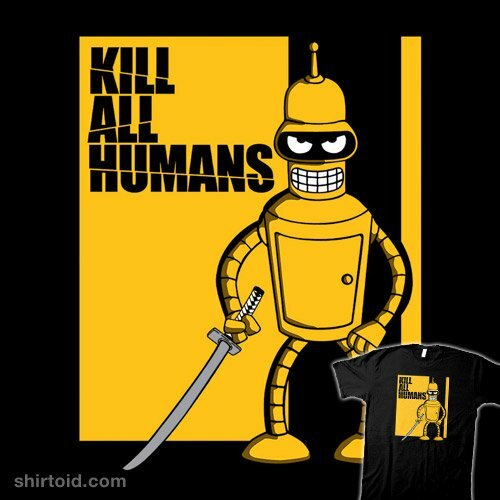 And so on that note, I'd like to thank Melonseta for telling us about his work for Design By Humans. For any more information please click on the links provided or visit his facebook and twitter pages.